Become the plump, green, eating machine know as Slimer with this inflatable costume! 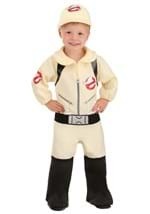 Right out of the Ghostbusters, this kids costume starts with a bright green polyester jumpsuit. 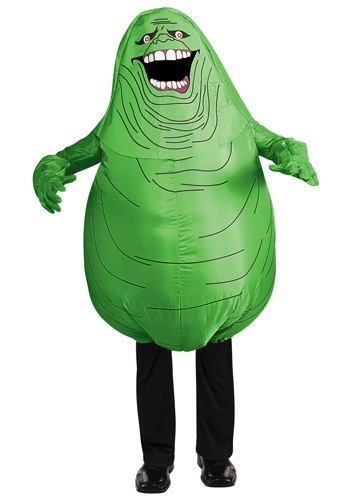 On the outside are screenprinted details to represent Slimer's wrinkly skin, and inside is a battery operated fan (4 AA batteries required, not included) that makes the costume inflate around you. 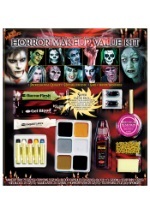 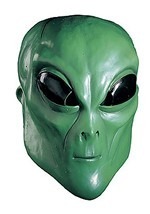 The headpiece is a hood with Slimer's face on the outside and a mesh net for you to see through. 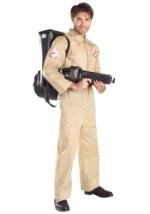 The green gloves complete your transformation. 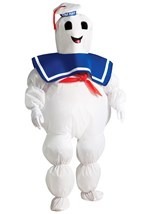 Pester the Ghostbusters this Halloween with our inflatable Slimer costume for kids!